After 15 years of operations, we are on an extended sabbatical after July 30th, 2018. We will not offer CCW or any other training until further notice. If you have a question please EMAIL using the email button to the right, as our phones will not be attended and we will only check voicemail occasionally. If you have an expired GroupOn we will not be able to honor it or provide any refunds. Sorry, no exceptions. The Basic CCW Course - 4 Hours - $149 per personTIME SALE — $69 Per Person! This course is appropriate for beginners or more experienced shooters who want to familiarize themselves with Arizona firearms laws, wish to gain a more complete understanding of when they may lawfully use force to defend themselves and learn how to prepare for a potential violent confrontation with a criminal. 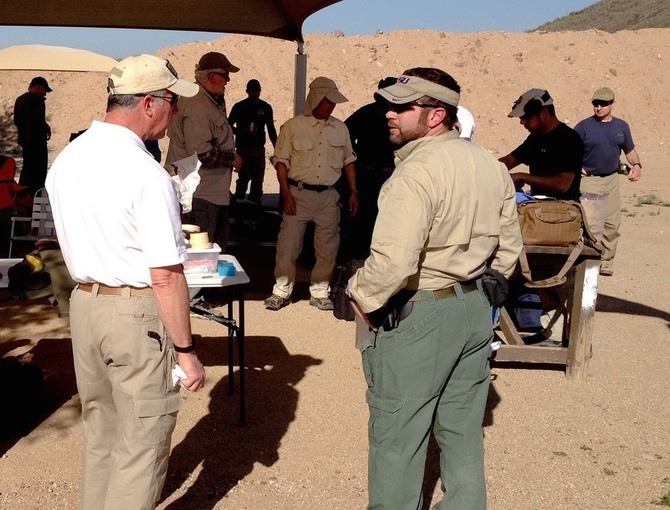 Should you decide to apply for an Arizona CCW permit, this course will satify all state mandated training requirements. The cost of the course does NOT include the $60 application fee payable to AZ DPS. This fee must be submitted to DPS in the form of either a certified check or money order at the time of application. This course is designed for the beginning shooter who has little or no prior pistol shooting experience. After a review of firearms safety rules and safe gun handling skills, we will introduce the new shooter to the various types of pistols and their operation. Students will be schooled in the principles of handgun marksmanship and be introduced to all fundamental gun handling skills. Each student will shoot under the direct supervision of an instructor and receive extensive individual coaching. *Rentals guns and ammo are available for a small additional fee. Please contact us for details. When selecting an instructor for your training, credentials and experience are certainly important factors to consider. Be sure you are getting your training from a qualified instructor. In addition to qualifications, you also need to take a look at their skills. Can they actually demonstrate, "on demand", the skill they are teaching you? If you take a course from an instructor and never see them shoot, how do you know they aren't just telling you something they learned from a book. Does your firearms instructor simply "talk the talk" or can they "walk the walk" on demand? Doug Little has personally chosen his instructors based on their firearms experience and skill, their professional attitude and their passion for safety and quality firearms education. Many come from military and law enforcement backgrounds. 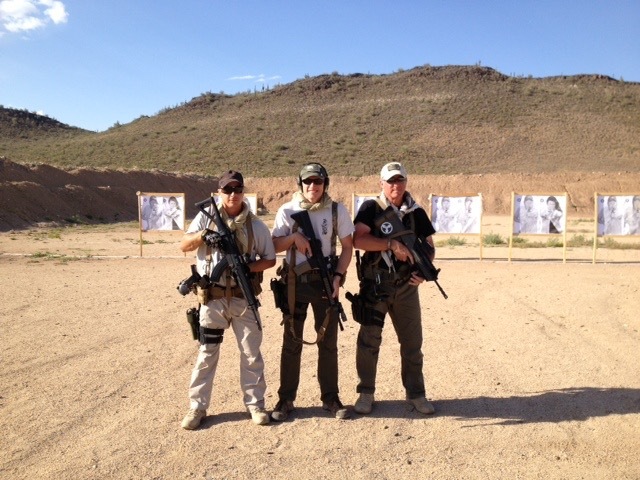 All of our instructors are NRA and AZ DPS Certified Instructors. Doug has a detailed understanding of Arizona law relating to firearms, concealed carry and the legal implications using lethal force in self defense. In addition to having instructed literally thousands of students in his Arizona CCW courses, he has also certified hundreds of NRA instructors in Personal Protection Inside and Outside the Home disciplines. Doug is also a Staff Instructor for Suarez International, the world's largest independent firearms training organization. Doug joined the Suarez Instructor Team in June 2007 and teaches the bulk of the Suarez Intermediate and Advanced training curriculum in Arizona, Utah and Idaho. His expertise for Suarez lies principally in Combat Pistol, Close Range Gunfighting, Rifle Gunfighting, Kalashnikov and M4 Rifle Gunfighting and Advanced Kalashnikov and M4 Rifle Gunfighting. He is also the author of the Arizona CCW Guide, the premier online guide to Arizona CCW Law and Concealed Carry techniques. Doug Little's complete firearms instruction resume can be found here. If you take one of our courses and don't feel that you got your money's worth and then some, we will give you a full refund, no questions asked. There are too many instructors out there that 'talk the talk' but cannot 'walk the walk'. You also have my personal guarantee that I will never teach you any skill that I cannot demonstrate to you on demand. That is a 'no compromise' guarantee.